Palm trees provide us with religious symbols, shelter, and food; not to mention the perfect backdrop for a vacation getaway. 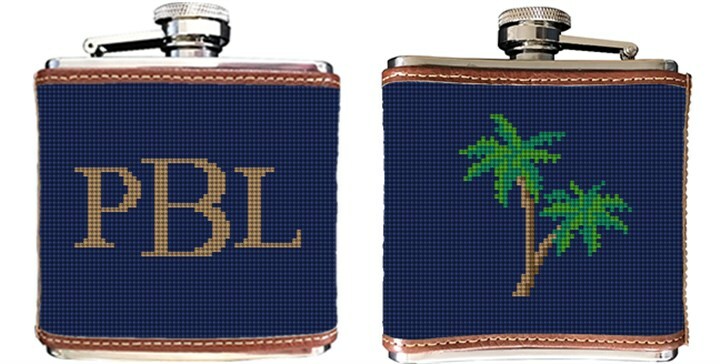 Create a unique gift idea, and stitch our Palm Tree needlepoint flask. When planning your canvas, please let us know what monogram you would like to use.